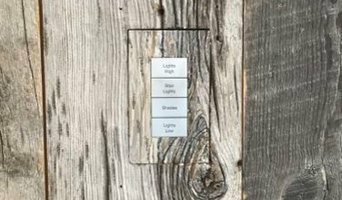 Logic Integration, a Colorado Company, designs and installs easy to use state-of-the-art automation systems as well as audio and video systems for residential applications. Control your all your lights, shades, audio, video with your iPad, iPhone, or mobile device! Our systems are easy to use and reliable! Come experience the best service & support department in Denver. Custom Quality Theaters offers custom home theater design and home theater installation in Boulder, Boulder County, Denver, Vail, Aspen, Avon and beyond. Our custom designed and built home theaters, music rooms, and media rooms combine all of the critical aesthetic, acoustic, and performance details in the perfect balance. Our systems consistently exceed our client's expectations for optimal performance. Founded in August of 2000, CQT has been working with homeowners, architects, builders, and designers to build their dream home theaters whether it’s done from scratch in a new home build, renovating an existing basement space, or designing the space of a new addition onto a home. Custom Quality Theaters evolved as a logical extension and integral part of our original design and remodeling company, Custom Quality Construction. 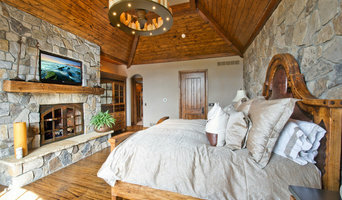 Custom Quality Construction has been serving Boulder and Longmont, CO, since 1993. We began building custom home theater rooms in Boulder in 1996 and since then have built custom home theater rooms across Colorado including Avon, Vail, and Aspen. From Robert Dreher, owner of Custom Quality Theaters in Boulder, CO: "My passion is improving the quality of life for my clients, their families, and friends. With over 30 years of experience in remodeling, design, and project management, I am convinced that remodeling can be a fun, creative, and rewarding experience for everyone involved." Costs for our services can start with a basic consulting/ design fee, with or without blueprints. Or we can provide a complete turnkey solution, including consulting, design, build out, and total project management. Our wide range of pricing reflects our desire and ability to accommodate each client's unique situation. 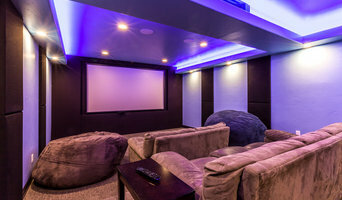 Robert Dreher and Custom Quality Theaters are uniquely qualified to partner with you to create your vision of your perfect custom home theater rooms. We are keenly aware of how important your home is to you and we take pride in using our experience, communication skills, and attention to detail to transform your living environment. Contact us today. Aurum brings elegance and uncompromising quality to state-of-the-art home technology. Our solutions turn up the volume on entertainment, spark the laughter of family togetherness, and give you peace of mind. We bring comfort, ease, craftsmanship, and service to discerning homeowners, creating an environment that is as remarkable as the people who inhabit it. We build integrated, design-centric, you-centric spaces that rise to the occasion of your life. 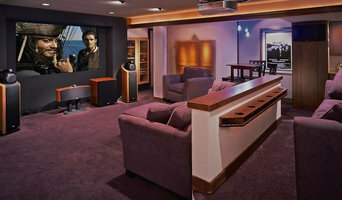 We offer design and consulting services in home theater, audio/video, lighting, and home automation integration. Residential Systems, Inc. is Colorado's leading provider of home automation, home theater, home audio/video, home security and lighting control solutions. We have over 32 years of experience with smart home technology design and installation; our expert staff has worked on thousands of homes throughout Colorado and the world. From large, custom homes to small one-room systems, we have solutions to meet your specific needs. We specialize in automation systems including Savant, Control4, Sonos, AMX, Crestron, Lutron, Vantage and more. Visit our web site at www.ResidentialSystemsInc.com to learn more. At Altitude Audio Video we take pride in finding the right solutions for your home or business. We Choose the right products to ensure ease of use when we hand you the controls. Give us a call for a free consultation and we can start building your dream system. We’re architects of custom home systems that blend seamlessly with your life, streamlining technologies to bring elegance and simplicity to everyday tasks. CREATAV's mission is to delight you through our expert Design, Sales, Installation, and easy, reliable use of your Distributed House Audio System, Home Theater System, and Control and Automation of any aspect of your home or office. Xssentials is your technology services company providing the world's finest residential technology solutions through superior architecture, design and innovation. For over 30 years, our highly trained specialists have created and installed advanced home automation systems for discerning clients throughout the world. Seamlessly and aesthetically, we integrate the home technology to provide control, comfort, enjoyment and security. Since our beginnings in the ’80s, Xssentials has seen home and office automation systems evolve from simple thermostats and dimmer switches to fully intelligent environments that think and respond to events, seasons, time-of-day, and even the individuals in the space. Working with thousands of happy customers, we have collaborated on taking the latest technologies and putting them to work in homes, offices, warehouses, complexes, resorts, estates and watercraft. And it’s these same customers who invite us back and refer us to their friends and family, because they know Xssentials will provide again amazing automation and control, and even better service. We look forward to bringing the same to you. Call us at (303) 729-1564 or email info@xssentials.com to discuss your technology needs! SaaviHome is the only national network of professional home electronic integrators in North America. Our passion is producing customer delight through engineering the digital home. We spend countless hours researching the latest technology breakthroughs, understanding the capabilities (and limitations) of new products, and developing programming and integration strategies to take advantage of the value that electronic products can provide. We do all this so you don't have to. To flawlessly deliver home automation system design and project management to the mid to high end consumer. It is our mission to achieve long lasting relationships with every client through impeccable consumer experience. 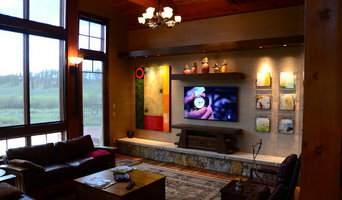 The Boulder Home Theater Company is a full service design, sales, and installation company. We have over a decade of experience in the custom audio-video field. We have completed many custom installations for professional athletes, high-profile businesses, and discerning clientele. ListenUp is Colorado's most trusted provider of high definition audio and video products. Since 1972, ListenUp has received numerous awards for providing tomorrow's technology to today's homeowner, with exceptional customer service. Whether you need a media room or home theater attractively integrated into your space or you’re interested in a comprehensive home automation / home control system, ListenUp is uniquely qualified to make it happen. Our custom installation experience goes all the way back to the 1970s, and in that time we have developed proven practices and home control systems to keep everything on time and on budget. Each job we undertake has a veteran project manager backed up by our entire engineering department. An automated Smart Home by ListenUp enhances your lifestyle and provides you with distinctive electronic luxury and style, yet it can actually save you money by making many of your household functions more efficient. We offer solutions for home entertainment, automation and control from the leading manufacturers in the industry, including Control4, Crestron, Lutron, Savant and more. Technology has a lot to offer these days. Why not use it to your advantage by making your Denver, CO home a more convenient place to live? Putting Technology to Good Use with sales, installation and calibration since1999 of most brands. At CinemaSetup LLC, I believe in using technology to enhance my clients' lives. When you work with me, you'll get the opportunity to consult with a home system installer who will take the time to understand what you're looking for and devise a plan to bring it to life. From integrated home theaters to complete home automation systems, I have the tools, knowledge and commitment to create solutions that work to enhance your day-to-day experience at home. With a background in general contracting and electronics engineering, I specialize in retro-fit. To place a smile on your face and my desire to provide support and service with value, honesty and personal attention is my primary goal. This stuff is fun! We deliver exceptional quality installations and use the industry's leading products such as Stewart, Sony, Panasonic, Denon, Marantz, Vivitek, LG, Samsung, Digital Projection, Boston Acoustic, Definitive Technology, Onkyo, Sonance, Sonos and many more. If you are looking to install your dream home theater or transform your home automation, give me a call today at (720) 961-2210 or click the "Contact Me" button to send me a message. I look forward to working with you! När behöver jag konsultera en ljudexpert i Denver, CO? Kan jag få hjälp med att installera i Denver, CO?